The ultimate urban lifestyle awaits from this Modern Penthouse in Fahrenheit! 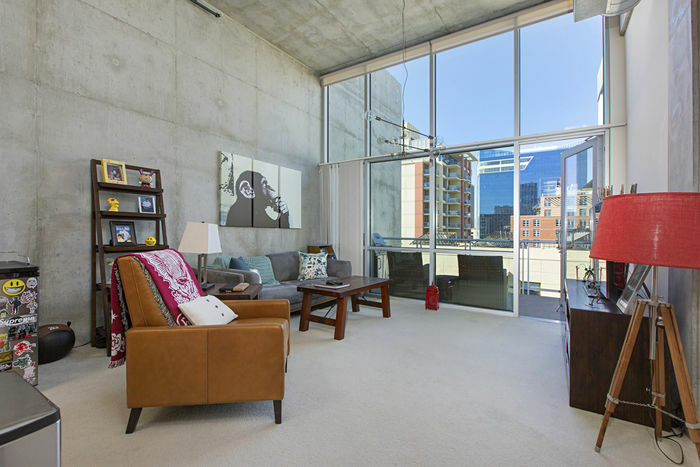 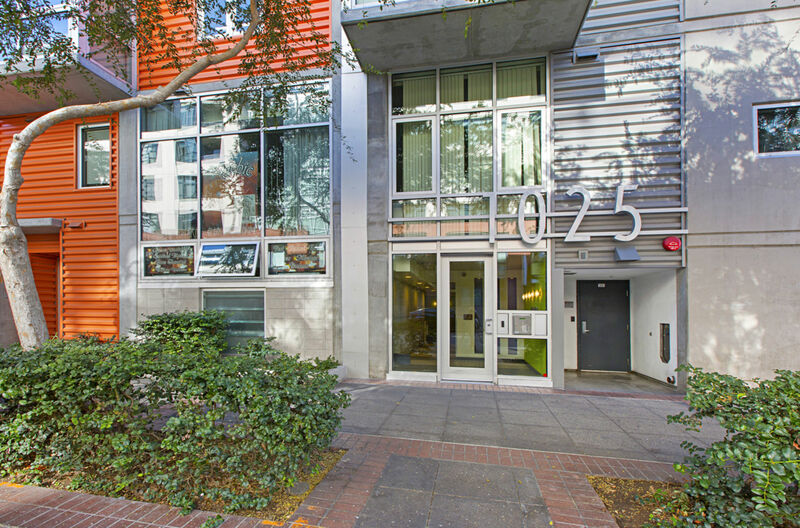 Its top-floor, west-facing location boasts voluminous 14-foot ceilings, an expansive wall of windows and 2 skylights providing an open, airy ambiance throughout. 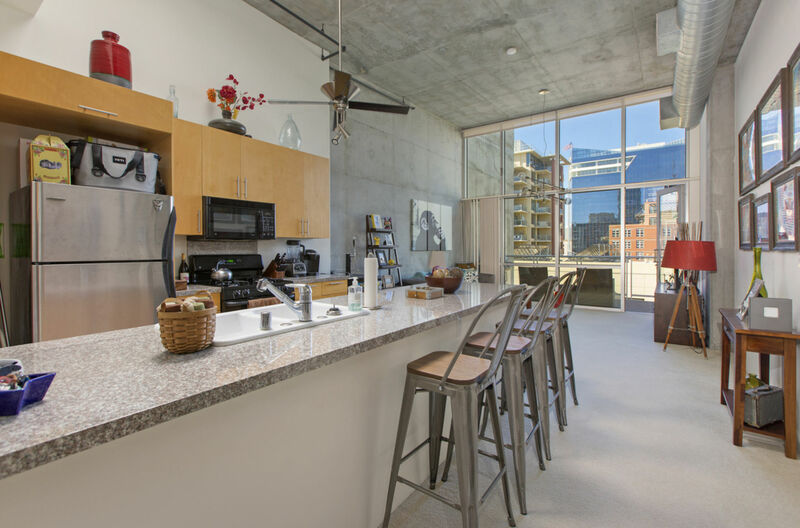 Cooking is a breeze in your granite kitchen offering a large breakfast bar and an abundance of cabinetry. 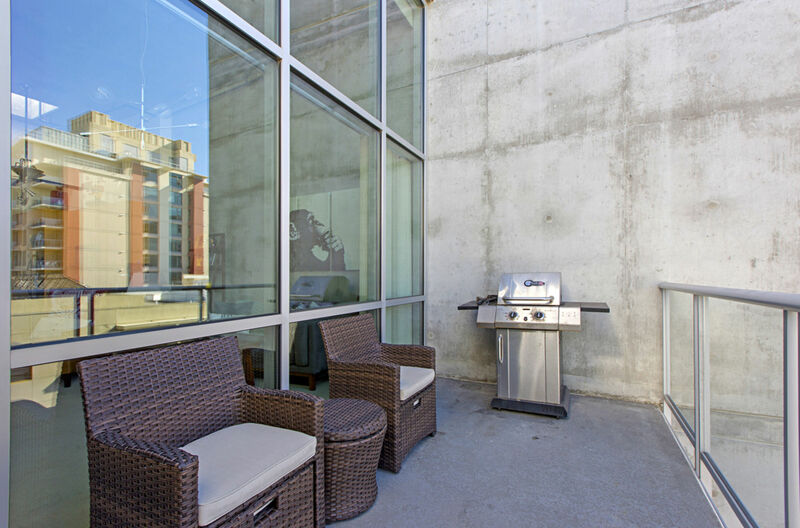 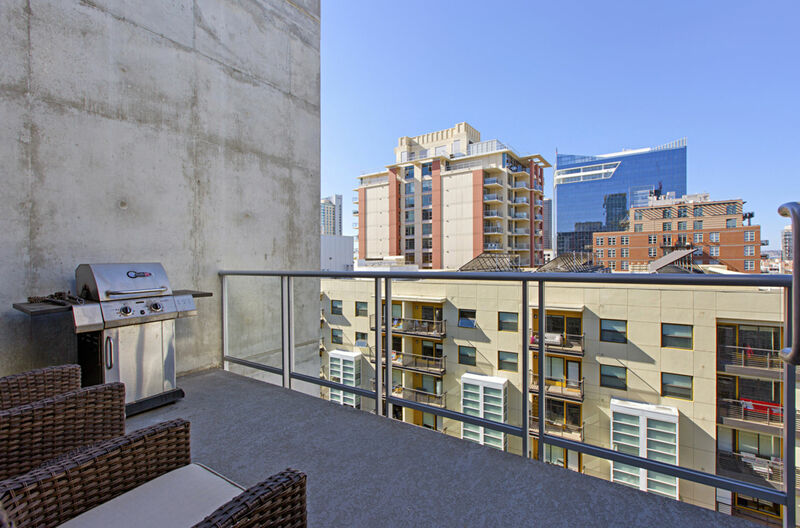 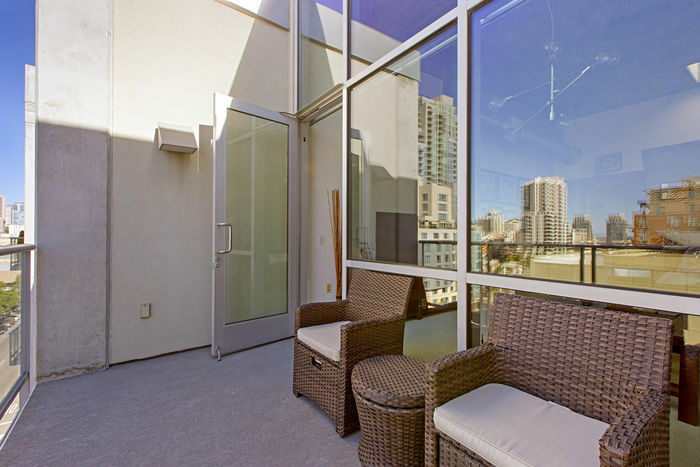 The spacious balcony presents the perfect setting to dine al fresco or just relax and take in vibrant views of downtown with peek views of the bay. 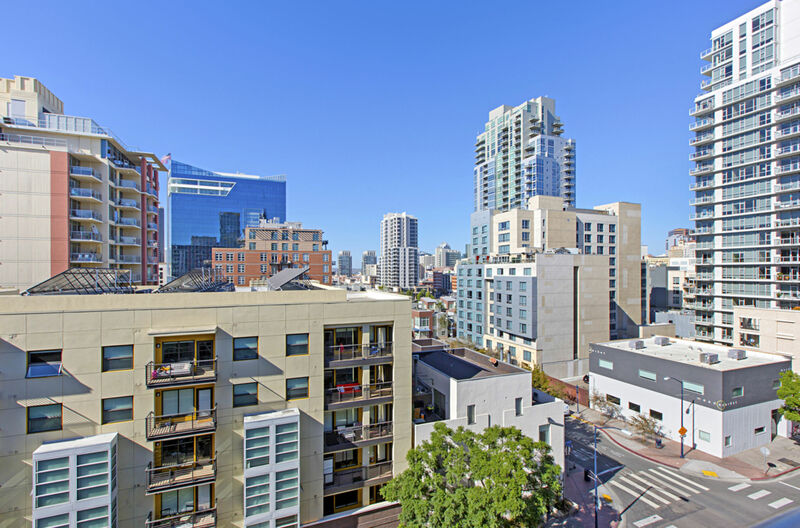 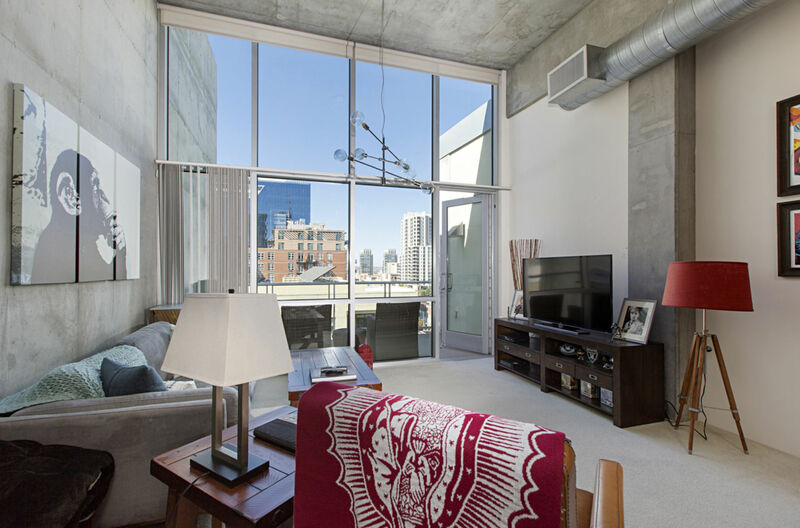 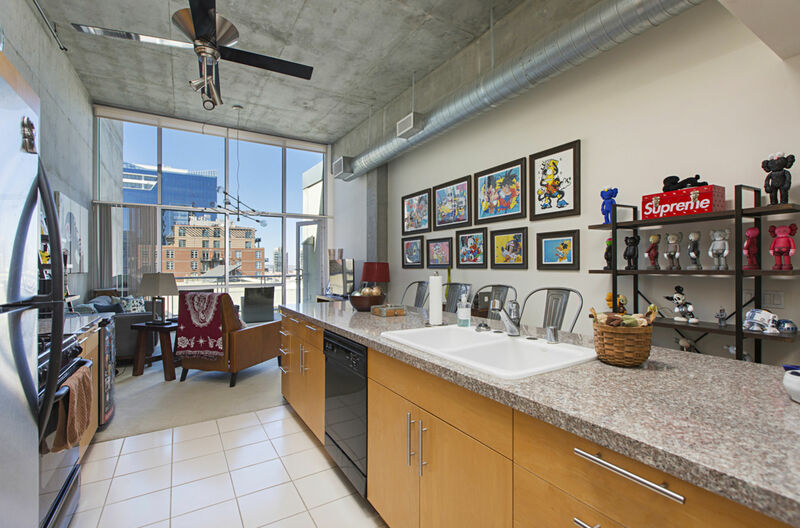 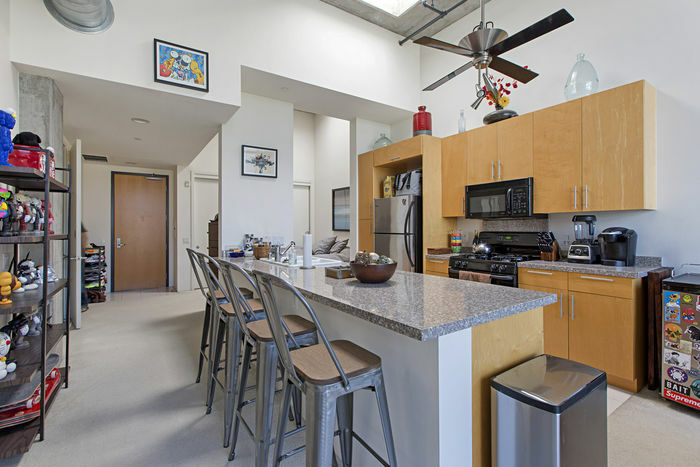 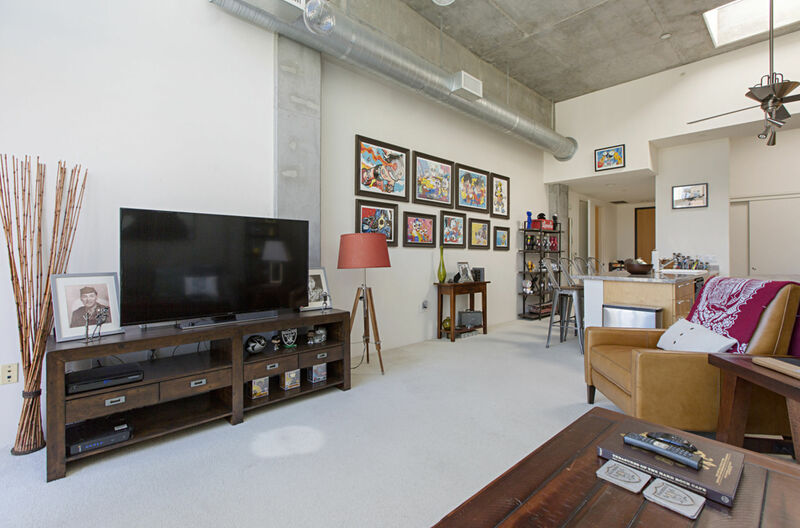 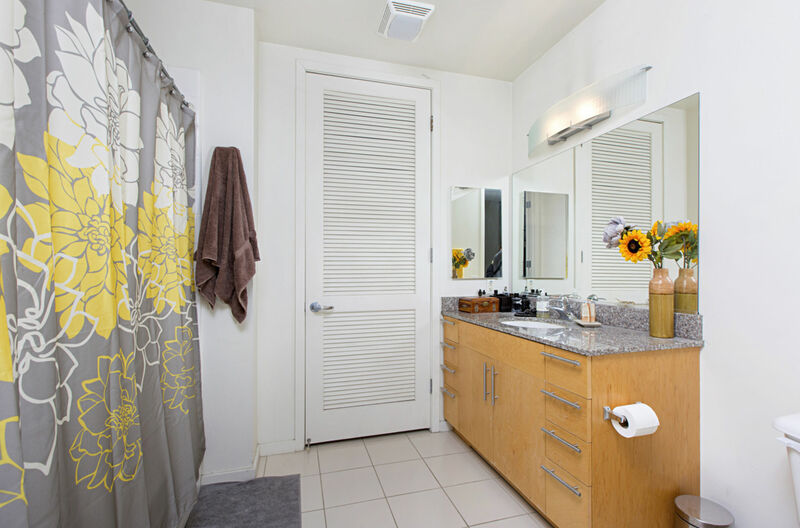 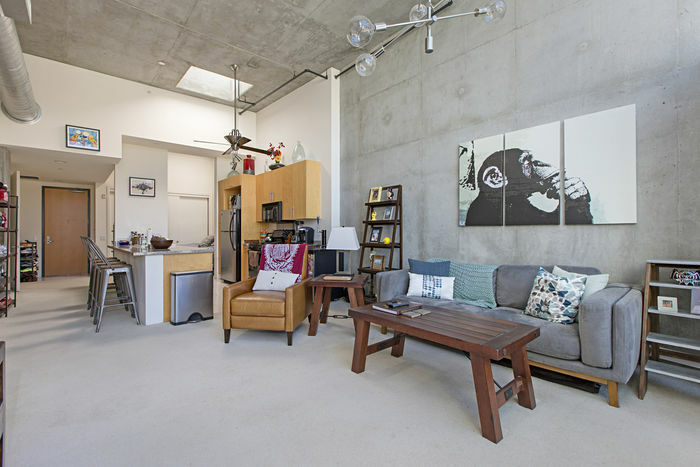 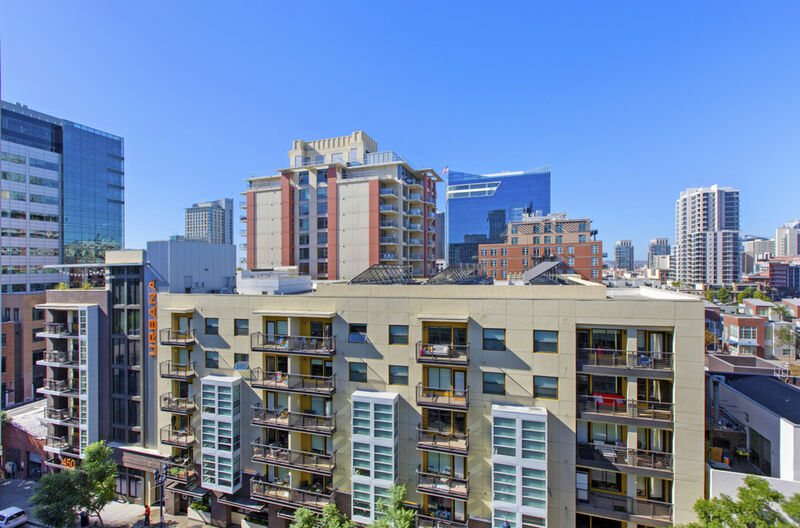 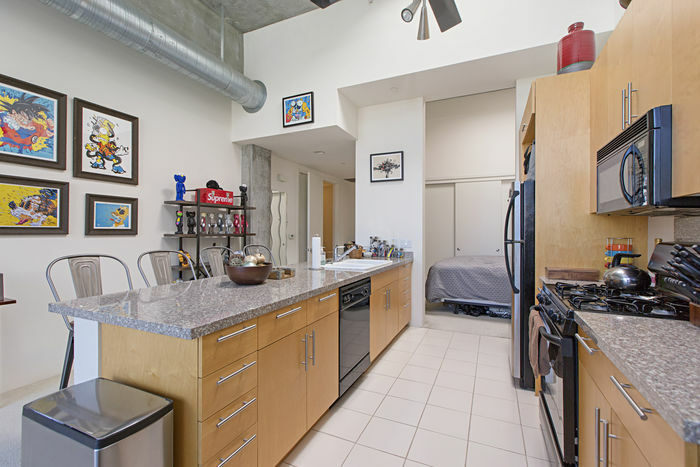 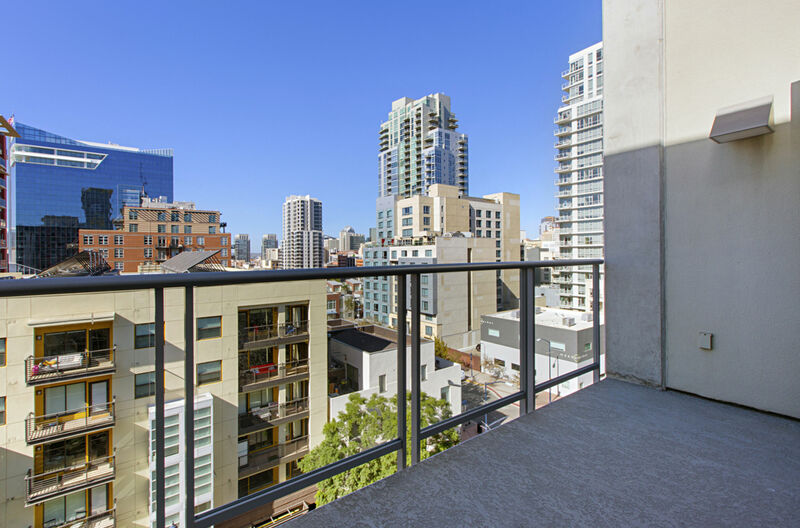 Conveniently situated in the heart of East Village where you will enjoy easy access to Petco Park, San Diego Central Library, the historic Gaslamp Quarter, a wide variety of shops, eateries, and so much more. 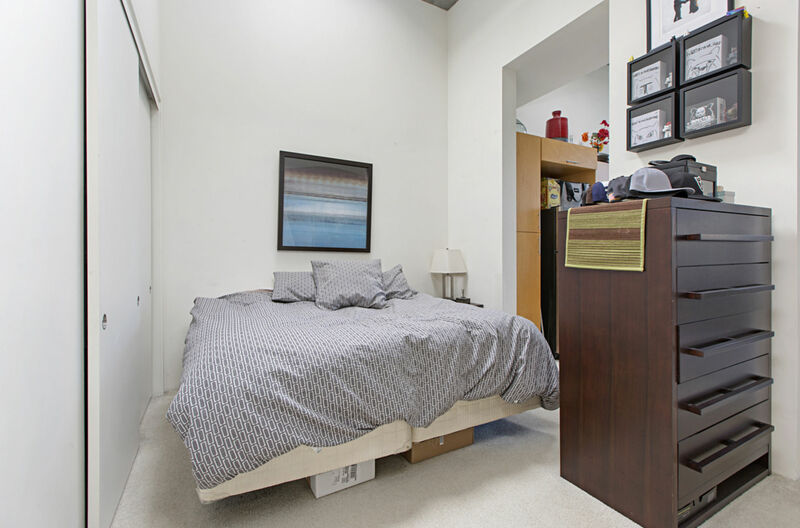 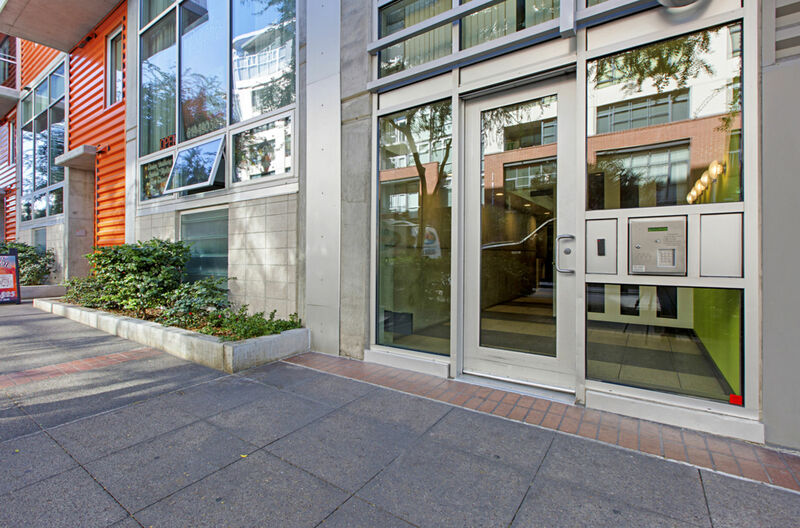 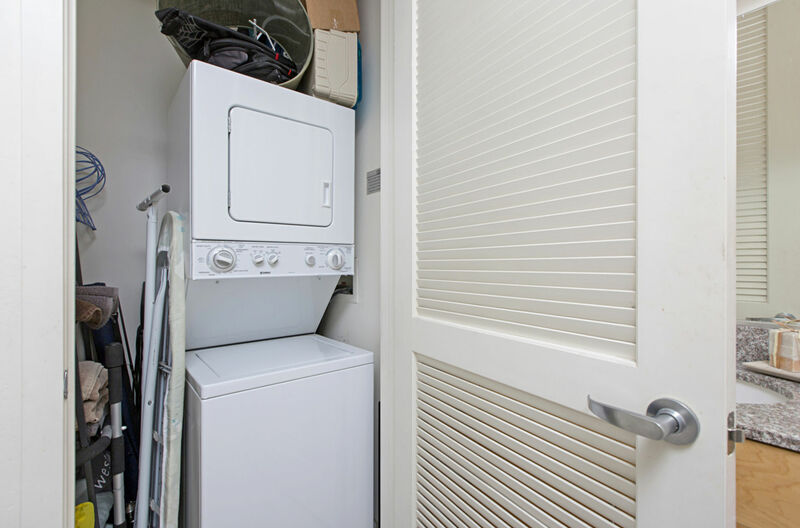 Other amenities include: in-unit laundry, central forced heat & A/C, 1 parking space in a secure underground garage, low HOA fees, and barbeques are allowed on your balcony!